"This Will Be One of the Fastest Returns You’ll See on an Investment." With the right plan of action in place after our training course, our clients usually see a return on their investment within 30 days, and some as early as two weeks. We’re dedicated to making this happen, so we’ll even retrain any graduate within 90 days, if they're "just not getting it." 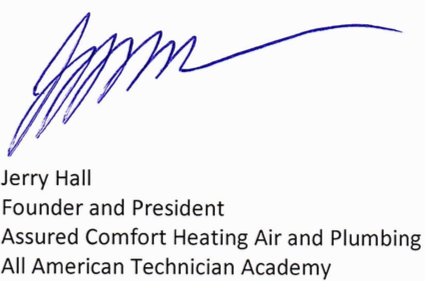 Hi, I’m Jerry Hall, founder of Assured Comfort Heating, Air, & Plumbing and All American Technician Academy. 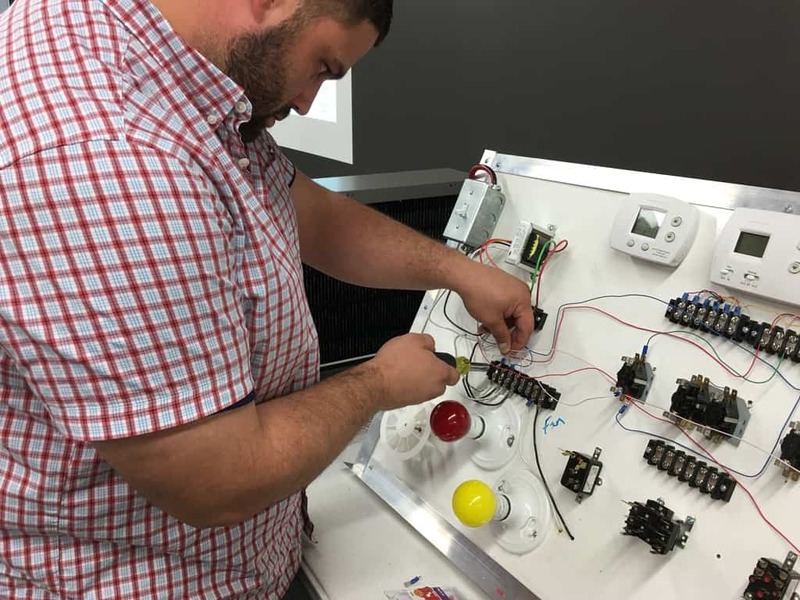 In my 30+ years of going to conferences, training events, and even supply houses, the complaint I’ve heard over and over is about not having access to qualified technicians. I promise you this is the absolute truth! As I built Assured Comfort, I suffered from the same problem. So, a couple of years ago, I decided to hire a master trainer and build my own state-of-the-art training facility that I had complete control over. 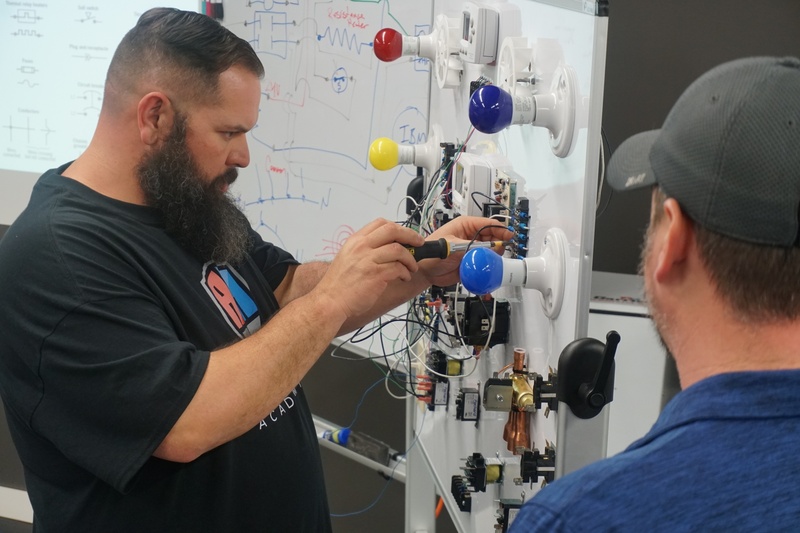 The result of training our own technicians is reduced call backs in our installation department, increased productivity, and dramatically improved client satisfaction. 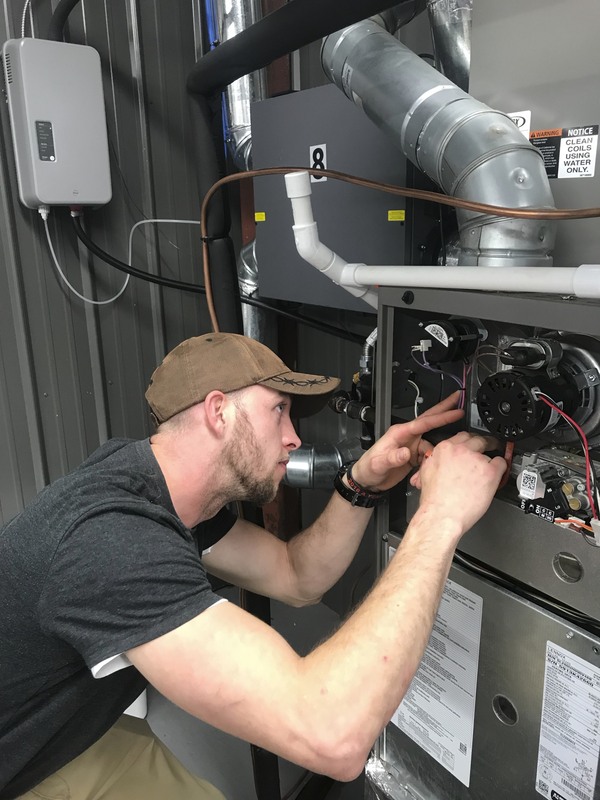 We are able to train up a level one HVAC maintenance technician in 30 days. 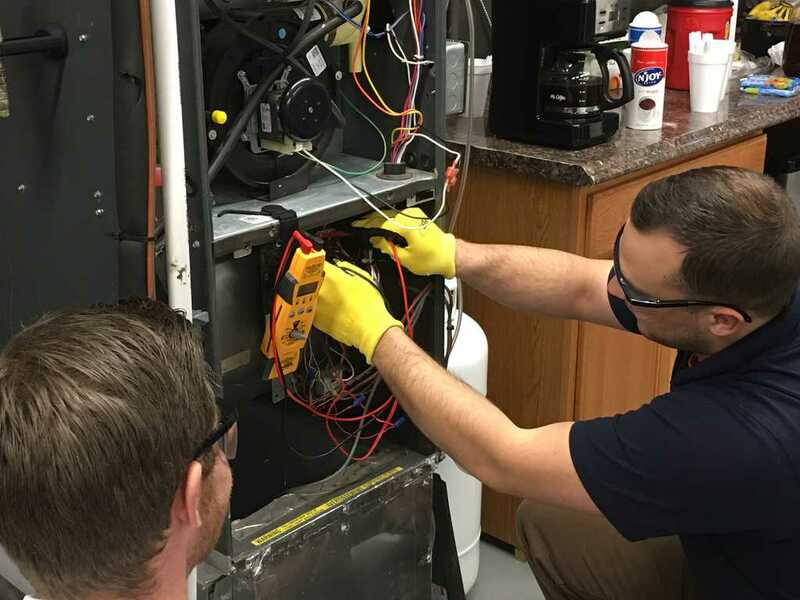 Not only do they have the proper skill set to perform maintenance, but they also have the mindset for communicating our core values to clients. 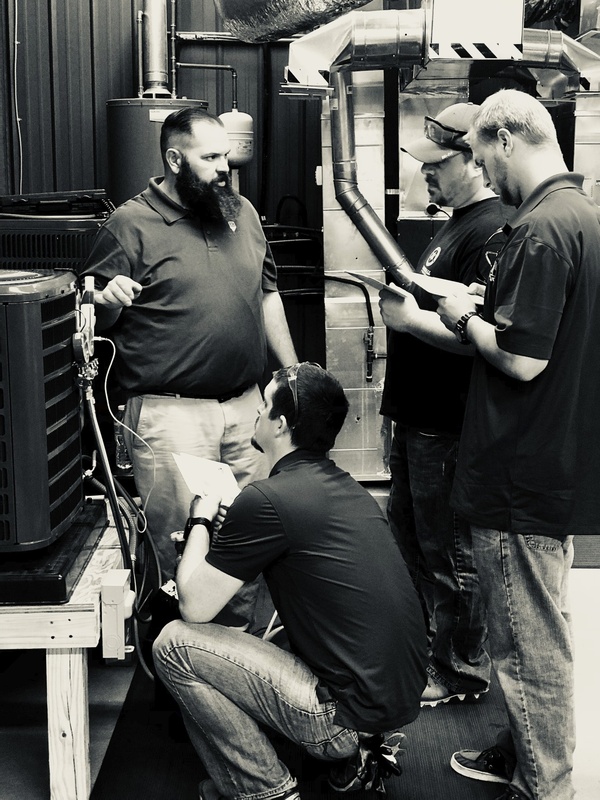 At All American Technician Academy, your employee will receive world class training that will empower them with a systematic approach to HVAC maintenance. 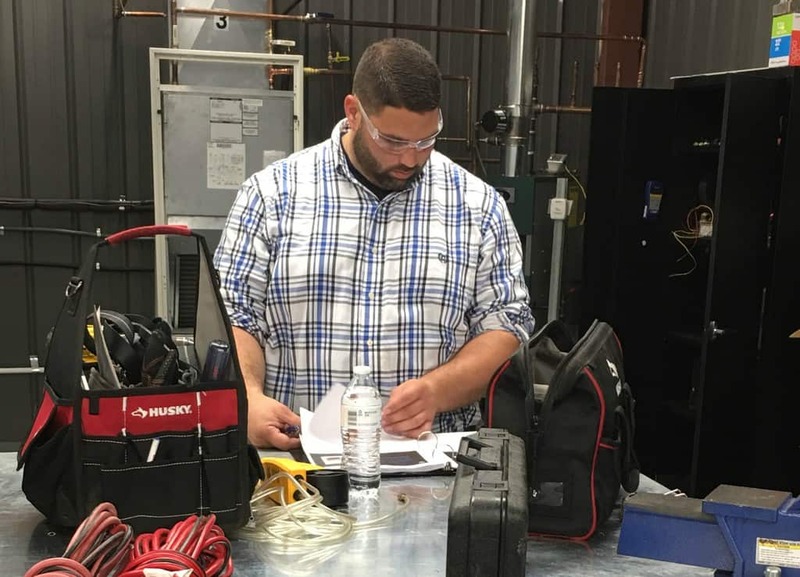 They will receive detailed instruction on the use of the tools and equipment of the trade. They will acquire communications skills that will empower them to identify sales opportunities that will boost your revenue. They will learn how to create the ultimate customer experience that will last a lifetime. 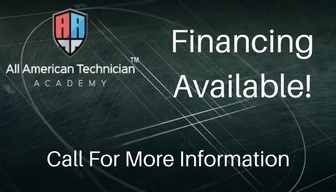 You’ll attain and retain loyal annual maintenance contract clients, driving a perpetual revenue stream that allows your company to thrive and maintain solid cash flow. It is time to stop settling for the industry standard! Say goodbye to “good enough” and seek excellence. Send us your employees, see the metamorphosis, then sit back and watch your business explode!